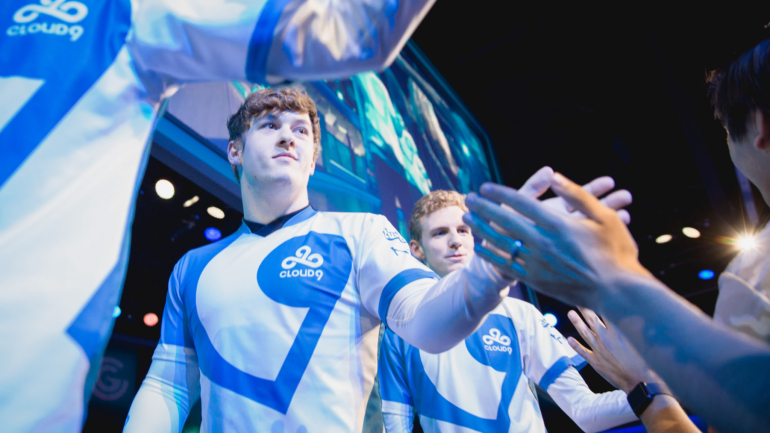 The NA LCS usually isn’t this clean, but C9 looked like a well-oiled machine. The three-way tie for first place in the NA LCS was broken today as Cloud9 completely crushed Team Liquid in a quick 30-minute match. The all-star bot lane of Andy “Smoothie” Ta and Zachary “Sneaky” Scuderi continued to prove that they’re the best duo in the region, but it was rookie Eric “Licorice” Ritchie in the top lane who really shined in today’s win. Liquid’s top lane and former C9 teammate Jung “Impact” Eon-yeong is one of the most decorated players in the league. And still, in a battle of high-damage carry vs. high-damage carry, he just couldn’t keep up with Licorice. At one point, Licorice was up 60 farm and three kills against former world champion Impact. It wasn’t even close. Perhaps the primary reason that Licorice has the freedom to play hyper-aggressive against his lane opponents, however, is the fact that C9’s bot lane almost always crushes their lane opponents. Today, despite being paired against Yiliang “Doublelift” Peng and Kim “Olleh” Joo-sung, was no exception. Sneaky and Smoothie played their lane masterfully, allowing Smoothie to roam freely and skyrocket leads in other lanes, as well. C9’s feat of defeating Liquid and claiming first place is especially impressive due to Liquid’s track record. In a meta full of 50-minute games that no one seems to close out, Liquid have been the team this year to force games to end on their terms, earning an average game length of around 25 minutes so far this split. They’re clearly one of the most methodical teams in the league, and yet, C9 trumped them, and they looked even more like a machine than Liquid has all year. Liquid will face Echo Fox tomorrow, the third team locked into the three-way tie before today’s game. They’ll either pick up a win or allow Echo Fox to advance into a tie for first with C9 once again.